Remember the fun, colorful tradition of creating homemade May baskets? (I do.) If you’re a certain age, you may even remember dancing around the May pole. (I don’t). All were once beloved rites of spring here in Iowa and across America. , students decorated the school flagpole in honor of May Day and delivered May baskets to friends. 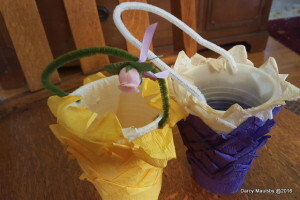 While these May 1 customs have largely faded from American pop culture, they still endure in pockets of Iowa and beyond, where some of my friends’ children still enjoy making May baskets filled with treats. I started thinking—where did these May Day traditions come from? A little research hinted at something less wholesome than childhood craft projects and school celebrations. May pole dancing, for example, dates back to ancient pagan cultures in Europe. Each spring, people would erect a May pole, often of cedar or birch, and dance around it, typically weaving colorful ribbons around the pole as they went, to ensure a fruitful planting season. An obvious phallic symbol, a May pole was strongly associated with fertility. After the European continent became Christianized, the more raucous elements of May Day celebrations were toned down, but the May pole dance and May baskets survived in a more G-rated form. These customs were carried to America, where they endured well into the twentieth century. music class, a tradition that has now gone the way of the May pole. In Lake City, homemade May baskets became a fundraiser for the ladies of the Presbyterian Church in the mid-twentieth century. 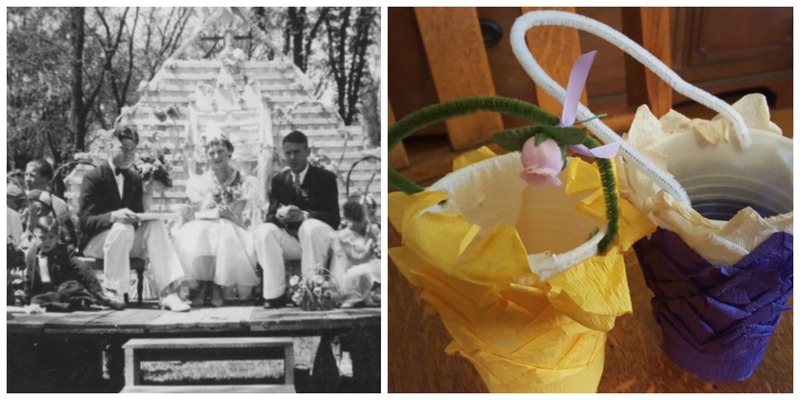 Church members including Fanny Howell, principal of Lake City High School from 1928 to 1935, made May baskets out of small paper milk cartons (washed and sanitized with bleach). The ladies decorated each May basket with colorful crepe paper and attached pipe cleaners for handles. The cheerful baskets were displayed in the front window of McIntyre Furniture store on Center Street, where the smaller baskets could be purchased for a penny apiece. Buyers could then fill the baskets with the treats of their choice and deliver them to friends around town. 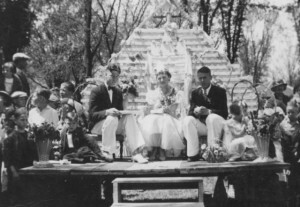 Long gone are the penny May baskets, McIntyre Furniture, Fanny Howell and many of the traditions that once defined May 1 in communities across Iowa and beyond. In one respect, however, I’m glad that some major company has not rediscovered May Day, only to mar its simplicity with commercial baskets, cards and trinkets. There’s still something to be said for simplicity and tradition. Check out my top-selling “Culinary History of Iowa” book from The History Press, and order your signed copy today. You can also order my “Calhoun County” Iowa history book, postcards made from my favorite photos of rural Iowa and more at my online store. Thanks for visiting!